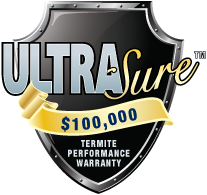 The UltraSure Termite Performance Warranty gives you $100,000 reasons to be certain your biggest asset is protected now and in the future! 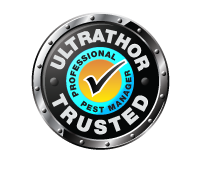 ULTRATHOR is sold to professional pest management companies; though only ULTRATHOR Trusted Professional Pest Managers - companies who meet highest standards of accreditation, training and expertise - can offer the ULTRASure $100,000 Termite Performance Warranty. or CLICK HERE to find a local professional. Perform an inspection and provide you with a written report prior to protecting your home with ULTRATHOR. Ensure a continuous ULTRATHOR Termite Defence Zone™ is created around and, if required, under your home, in strict accord with the registered product label and the Australian Standard AS 3660. Ensure that all their technicians who treat and look after your home are trained and qualified professionals who have achieved the relevant National Pest Management Competency Standards. Provide you with treatment paperwork and notices issued in accordance with the requirements of the Australian Standard AS 3660. Inspect your home at least every twelve months and issue a written report in accordance with the requirements of the Australian Standard AS 3660. The Australian Standard advises that, "Regular, competent inspections should be carried out at least on an annual basis but more frequent inspections are strongly recommended". Depending on the design of your property and the termite risk in your area, more frequent inspections may be required. To find your nearest ULTRATHOR Trusted Professional Pest Manager simply provide your suburb, post code and email address in the form below, and we'll send details of three professionals who will look after you; or alternatively give us a call on 13 35 36. * Like any warranty, conditions apply. Refer to the actual warranty for a full explanation of the coverage and its limitations. ™ Trademark of Ensystex, Inc. used under licence by Ensystex Australasia Pty Ltd.